Leica M6 Columbo 92: 200 Columbo M6's were ordered by the Italian Leica distributor Polyphoto in 1992, to commemorate the 500th Anniversary of the 1st American voyage of Columbus. Chrome M6 has matching 50/2 "Columbo 92" Summicron with its serial number 1-200 in the series. The Top Plate is engraved "500 Columbo 1492-1992," as is the body cap. Wow, take a look at that cap! 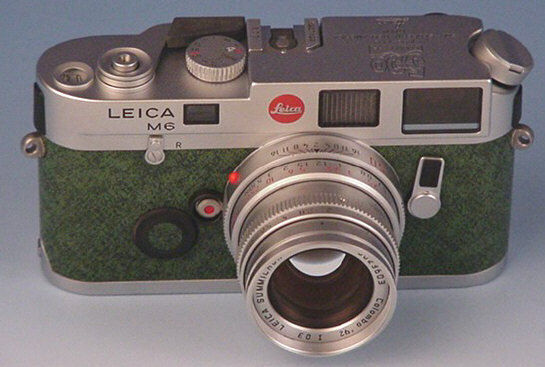 Woe to you if you lose it -- the neighborhood Leica dealer isn't going to have a replacement of that one. Serial numbers are 1907101 to 1907300. The Series serial number starts with each letter of ITALY, followed by 1 to 40. These cameras were originally delivered without a lens. 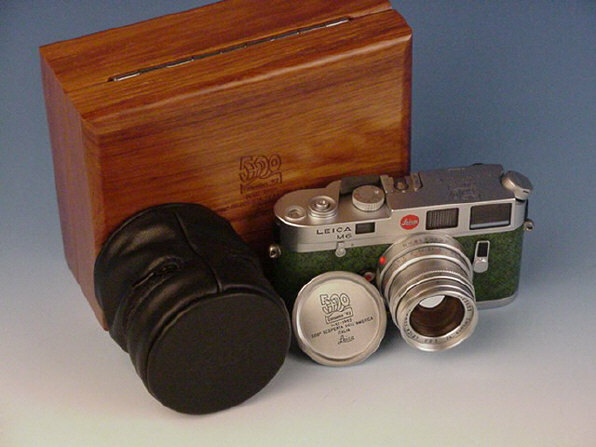 Collector demand forced Leica to make a specially engraved 50 Summicron, available only to owners of the Columbo camera, which were delivered in 1993. Revised: March 10, 2004. Copyright © 1999, 2000 Stephen Gandy. All rights reserved. Information in this document is subject to change without notice. Other products and companies referred to herein are trademarks or registered trademarks of their respective companies or mark holders.